During their adventures they meet an old man with a flute who has spent his life trying to mimic the Uirapurú’s song and a maiden of the moon surrounded by all the creatures of the night. In her tale of mystery and transformation, P.K. Page creates a story as beautiful and as haunting as the song of the bird about which she writes. 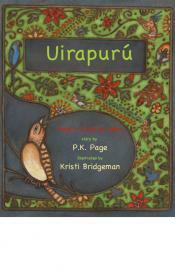 A story superbly illustrated by Kristi Bridgeman. A story you will never forget.